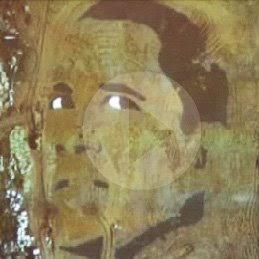 La Vanguardia in Barcelona, Spain has posted a video clip about a giant Obama face being created there. A geo-stencil in progress. A strangely familiar comment thread follows with the not unreasonable questions of who's paying for this? and what if McCain wins? Then there are the not unexpected accusations of terrorist and silliness and whoever wins will be better than Bush and some Barcelona bashing and mamarrachada and what a multi-cultural display. Then there is the obligatory racist troll declaring that in the US "98% de los negros votarán a obama sin ningún tipo de racionalidad" or "98 percent of the blacks will vote for Obama without any type of rational analysis". This is truly the election of giant, messy, fearful comment threads. Fortunately this is also an election of creative expression, of volunteer graphic design, of steady artistic support in the face of bitterness and division. Then there are the comments about the movie Bienvenido Mr. Marshall. Another commenter notes that they are tired of the craziness of doing or not doing things based on what the estadounidenses are doing or not doing. Trust me at this point the estadounidenses are tired of it as well.